I recomand this guesthouse ... 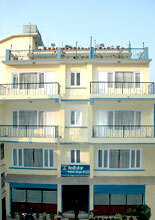 Very well located in Kathmandu in the heart of the touristic area. The staff and especially Tarun is very kind, helpfull and friendly. It was a pleasure to stay in the guesthouse. 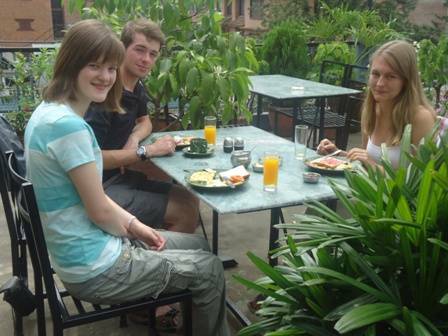 Madhuban Guest house is one of the finest hostels in the beautiful city of Kathmandu. We will take care of everything from picking you up at the airport to organizing your dream trek to Mt. Everest. Our professional and friendly staff will be sure to take care of everything, even the smallest details are our pleasure! Imagine waking up to a beautiful sunrise while eating delicious food on our garden roof-top terrace and then walking over to nearby Thamel to enjoy some shopping! For those of you more interested in a cultural experience we can arrange to send you all over Kathmandu to visit each of our unique temples and heritage sites. After your days adventure is over you will be sure to enjoy our spacious rooms with 24 hour hot water showers in your own private bathroom. Along with this you can always count on our around-the-clock staff to take care of any needs that may arise. We are sure that after you stay with us you will leave as our close friends! We will be happy to arrange for pickup from the airport, convienently located only 20 minutes away. If you prefer public transportation we are also 10 minutes walking distance away from the nearest bus terminal. Close enough for easy of transport yet removed enough for a peaceful environment! 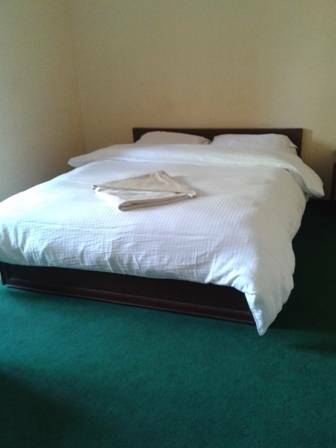 Descriptions Standard Rooms Standard Rooms offer clean and spacious room with an attached bathroom having facility of hot & cold shower running for 24 hours. Bathroom amenities include bath towel and soap with a pair of slipper. Comfortable beds are set for your sound sleep. All rooms are specially designed with ceiling fans to keep you cool and fresh all the time. Room Service is available from morning 7am until 10pm. You will also get a Complimentary Internet of 512Kbps is available to stay in touch with friends and family during your stay here. Once you open the doors to any of our rooms, you will be impressed by our facilities. We offer you a free airport pick up which is complimentary to all the guests who book Standard rooms continuously for more than 2 nights. Hurry up !!! Grab this opportunity and give us the pick up request at the hotel e-mail. We are always ready here for the best of your satisfaction. Book with confidence !!! 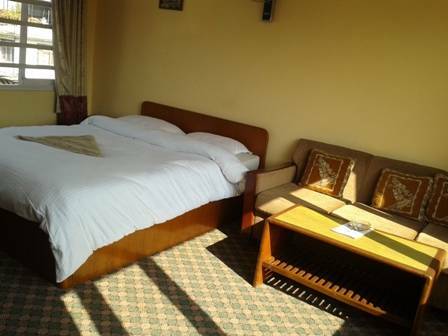 Descriptions Deluxe Rooms Deluxe Rooms Deluxe rooms are clean and spacious in our Guesthouse. 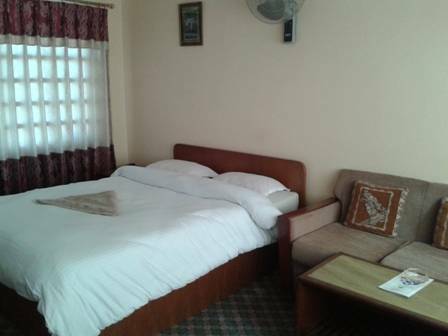 They are fully furnished and have bathroom with running hot & cold shower for 24 hours. Bathroom amenities include bath towel and soap with a pair of slipper. Comfortable beds are set for your sound sleep. All rooms are specially designed with ceiling fans to keep you cool and fresh all the time. Room Service is available from morning 7am until 10pm. You will also get a Complimentary Internet of 512Kbps is available to stay in touch with friends and family during your stay here. Once you open the doors to any of our rooms, you will be impressed by our facilities. Additionally, we have a delightful rooftop garden or balcony where you can relax, enjoy a drink with your friends away from the liveliness just outside. We offer you a free airport pick up which is complimentary to all the guests who book Deluxe rooms continuously for more than 2 nights. Hurry up!!! Grab this opportunity and give us the pick up request. We are always ready here for the best of your satisfaction. Book with confidence !!! We are in the city with cool and calm environment. You may pay at the time of arrival. We are located just at the side of Thamel market. Bus, Taxi and Ricshawas are available.